The U.S. Food and Drug Administration has now approved a new drug for treating chronic hepatitis B virus infections. This medication produced by Gilead Sciences, Inc. is sold under the brand name Vemlidy. That said, the drug itself is called Tenofovir Alafenamide. Whether you call it by its generic name or Vemlidy, it is a treatment that is taken once per day and that was shown in scientific studies to produce worthwhile benefits. In fact, this medication was effective in bettering renal and bone laboratory safety parameters in a way that is similar to Viread, a drug that is already on the prescription market. A Vemlidy prescription will be for a daily dose of 25 mg and is appropriate for adults diagnosed with chronic hepatitis B virus infections with compensated liver disease. The product label for this prescription medication clearly underscores the fact that it is not without potential drawbacks. As is the case with all prescription medications, there is a risk of side effects. In this case, the main warning is for lactic acidosis/severe hepatomegaly with steatosis and a severe and acute worsening of the original hepatitis B condition. The drug itself is new and functions as a targeted tenofovir prodrug. Trials showed that it demonstrated comparable antiviral effectiveness to Viread – another Gilead drug – only at a dose that is considerably smaller. In fact, the dose of this new medication is under one tenth of what is required of Viread for the same types of benefits, as that is taken at a dose of 300 mg. The new medication also has a better plasma stability and is able to deliver the tenofovir into the hepatocytes more efficiently than Viread. This helps to explain why much less of it is needed in order to achieve the desired results. Also attractive about this newly approved medication is that the reduced dose leads to a lower amount of tenofovir within the bloodstream. Because of this, renal and bone laboratory safety parameters are more favorable than they are with Viread. This new approval from the FDA represents a promising opportunity for people who have chronic hepatitis B. It affects as many as 2.2 million people in the United States and is a life-threatening condition. 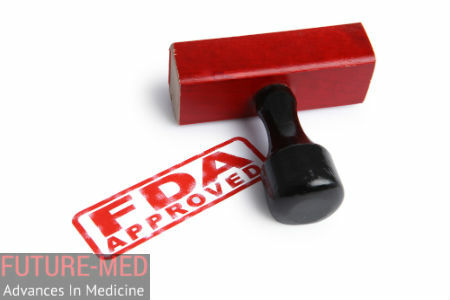 The approval for the drug was granted following two international Phase 3 studies (studies 108 and 110) that ran for 48 weeks. They involved the participation of 1,298 adult chronic hepatitis B virus infected patients.